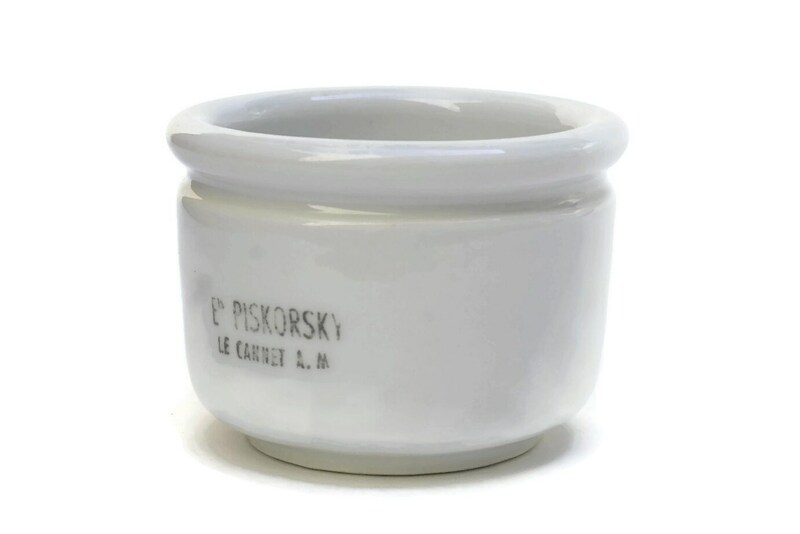 A very rare ironstone yogourt pot made by the Piskorsky Establishments in Le Cannet (city near Cannes, in the South Est of France) in the 1940s. 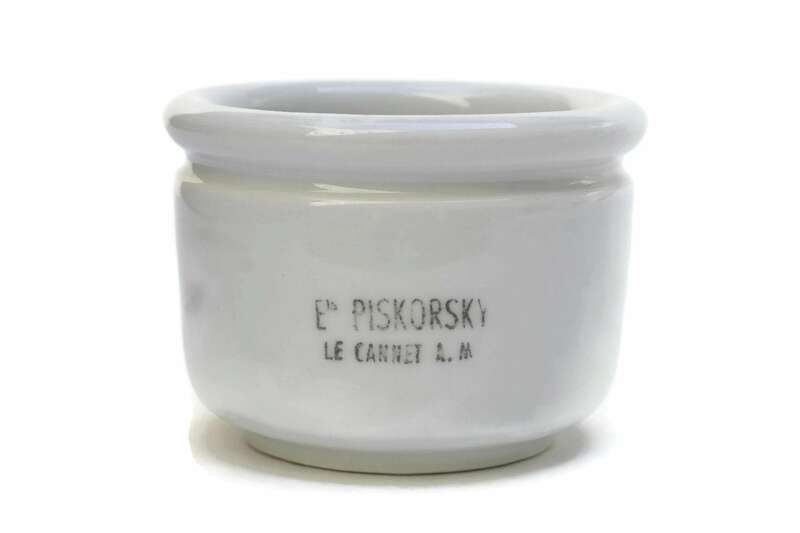 The antique pot has been made of white ironstone and features a olive green transferware with the the brand "Yaourt Constantinople" on one side and "Ets Piskorsky Le Cannet A. M" on the other. 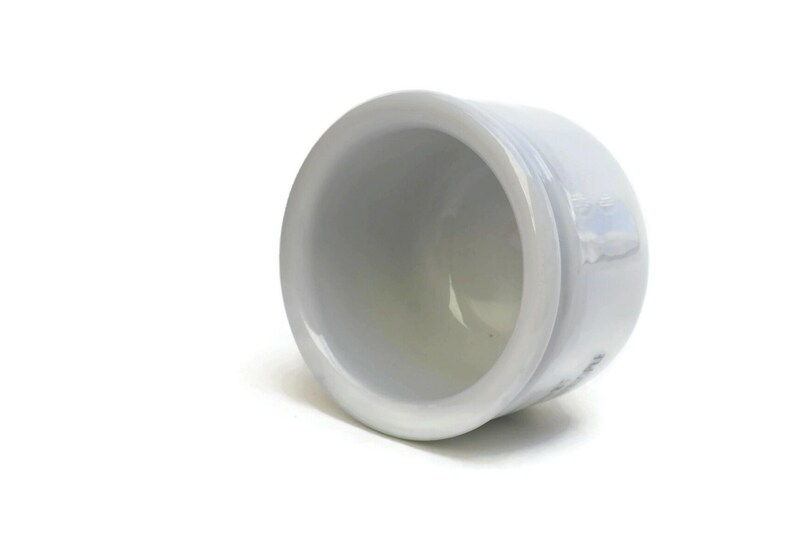 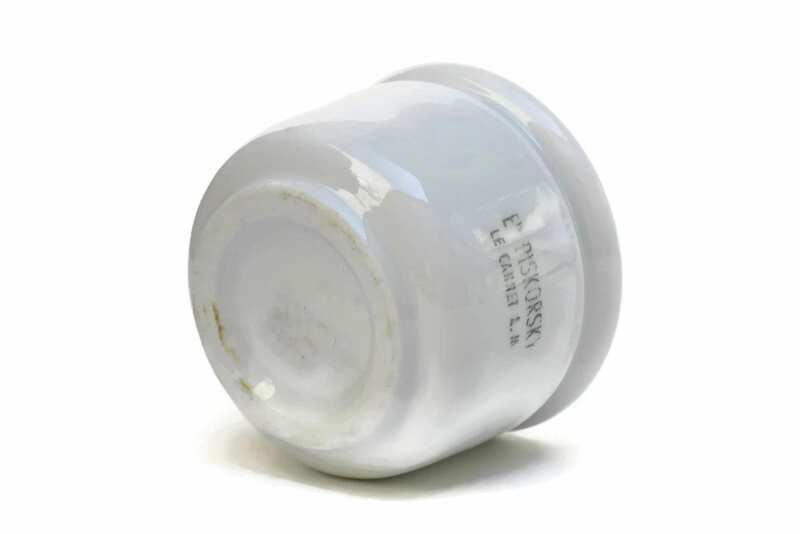 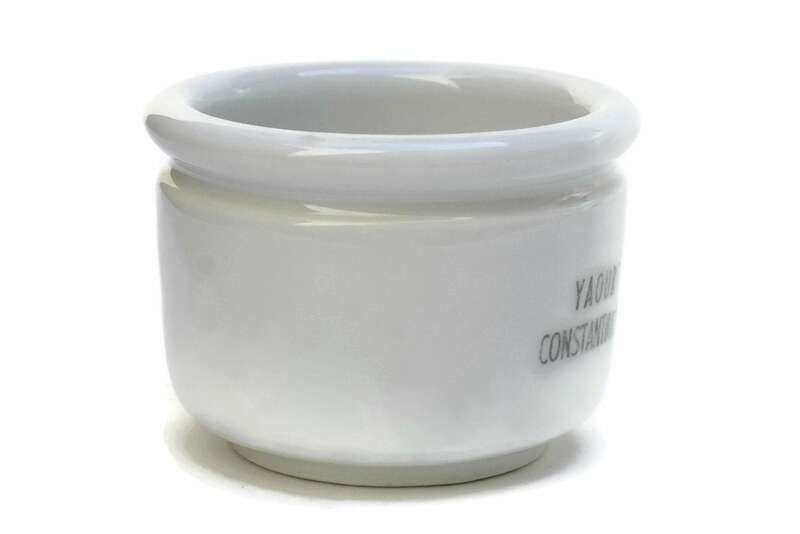 There is a concave rim below the lip of the white ceramic bowl. 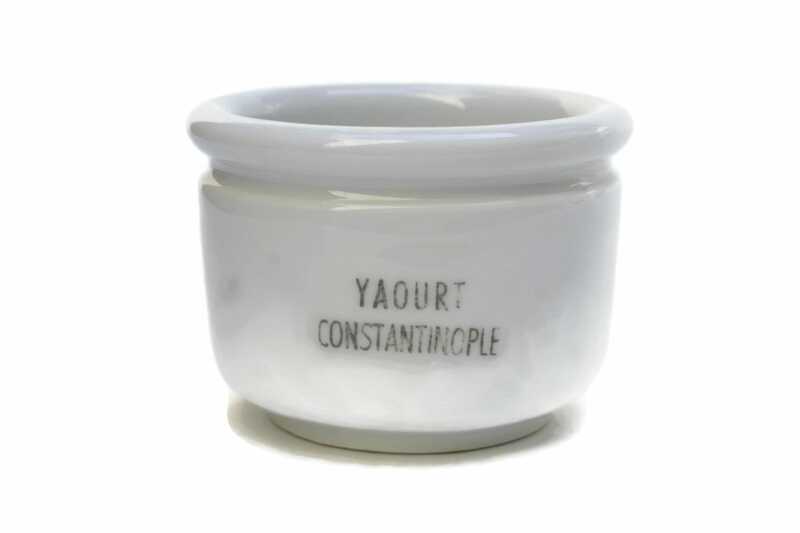 This adorable pot could be used to make your own yogourt or as a jar to serve your homemade jam. 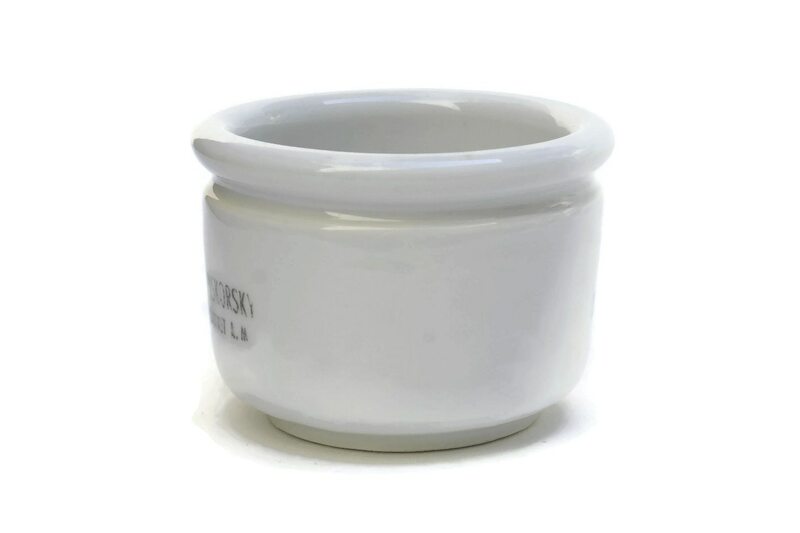 It will make a great addition to your country cottage kitchen decor. 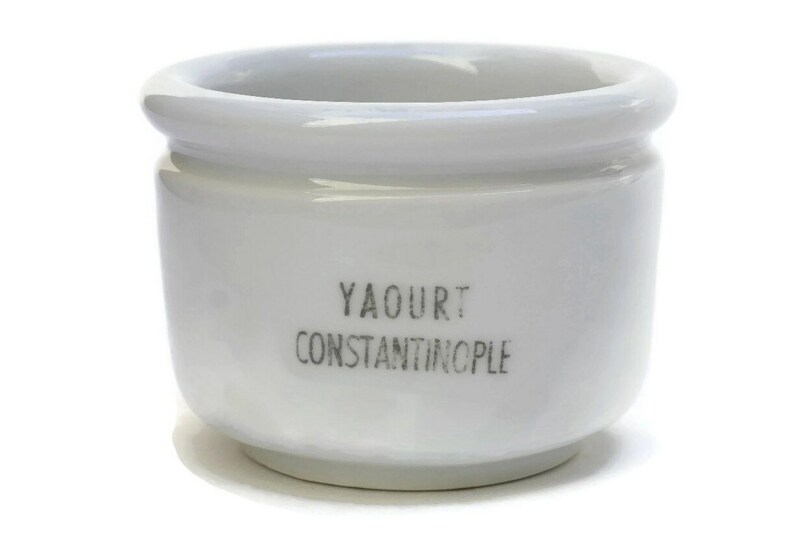 2 1/2" Tall x 3" in diameter (6 cm x 8 cm). 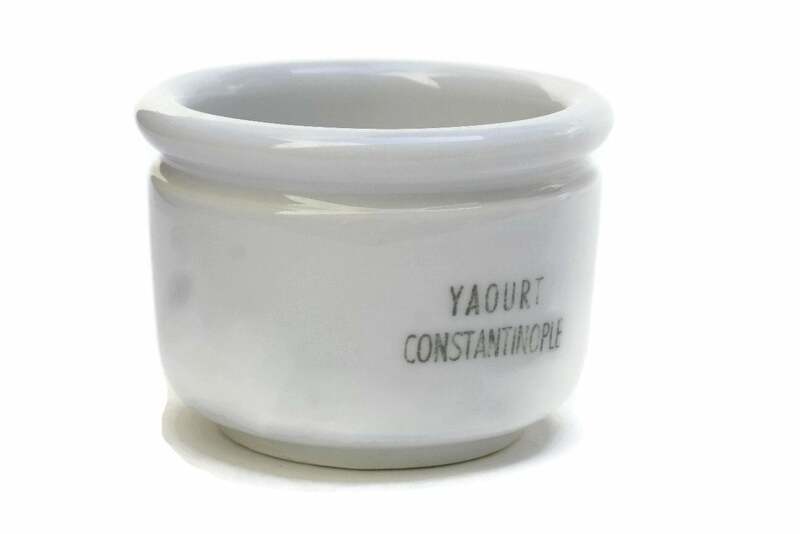 The ironstone yogurt pot is in very good condition with no cracks, chips or restauration. 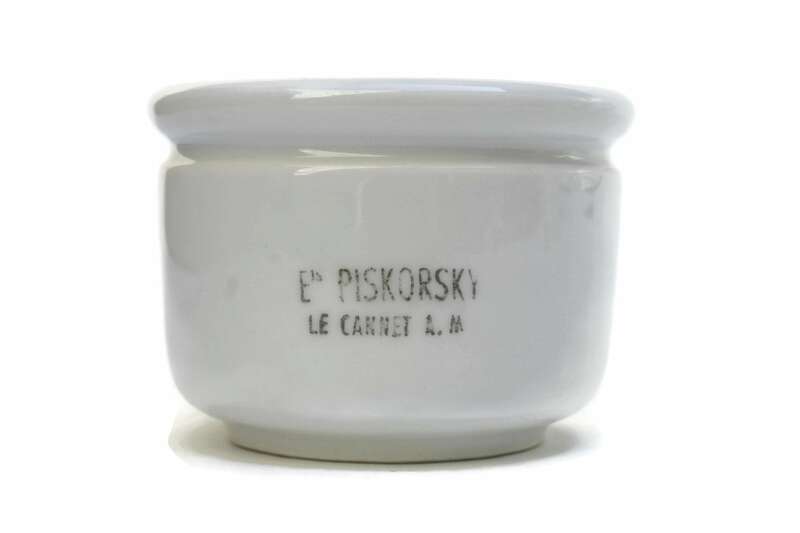 There are light wear to the transferware labels.